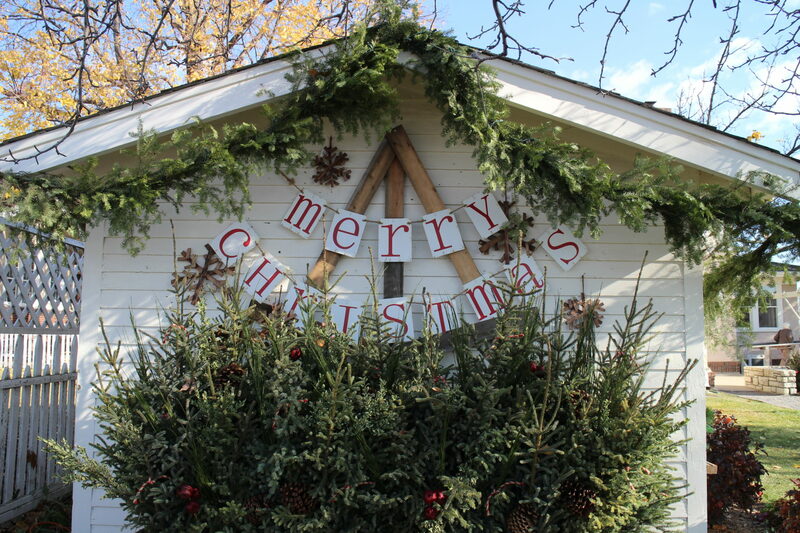 It’s beginning to look a lot like Christmas at the Bachman’s historic homestead on Lyndale Avenue South. 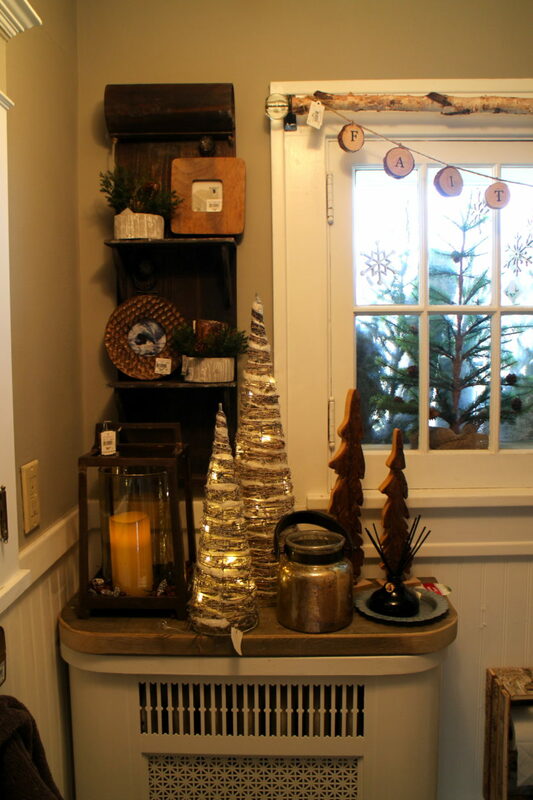 Festive floral and table arrangements, one-of-a-kind pieces, repurposed pieces, and new items all nestled alongside each other for a “making it merry” home. Props to the design team for sharing their awesome creativity! 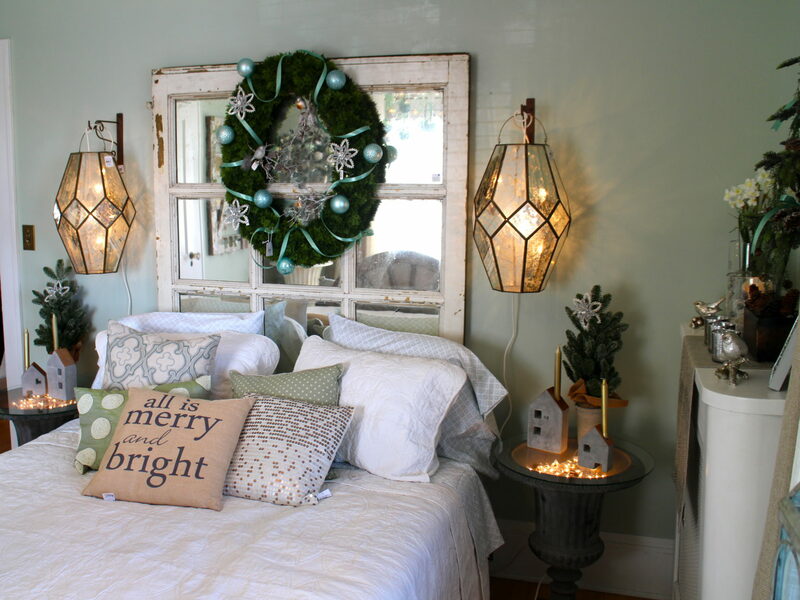 Words of Wisdom – Text written across pillows, glasses, and décor put you in the holiday spirit. Luxury – Drape yourself in luxe details found in gold, plaid patterns, copper, and fur accents. Mixed Metals – Juxtaposed bronze, copper, and gold are paired for added visual interest. 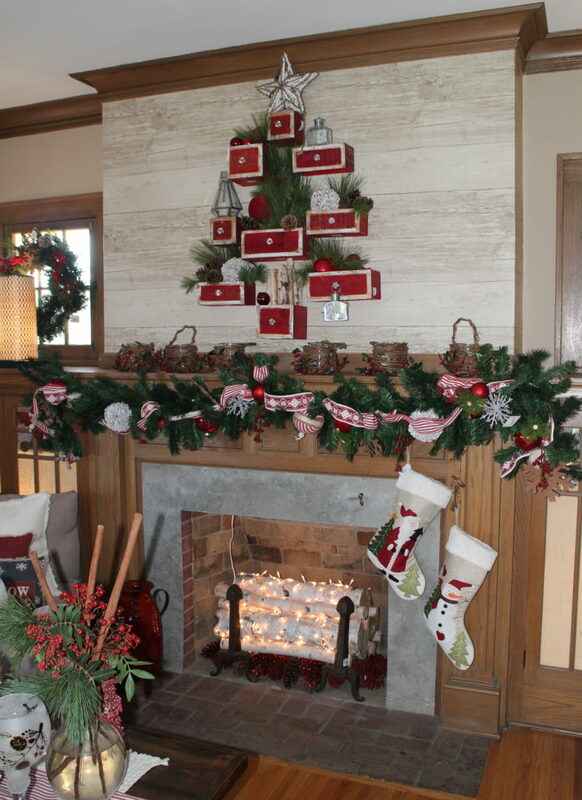 Make it Merry – Find inspired ideas for Christmas in every corner to make the season bright. 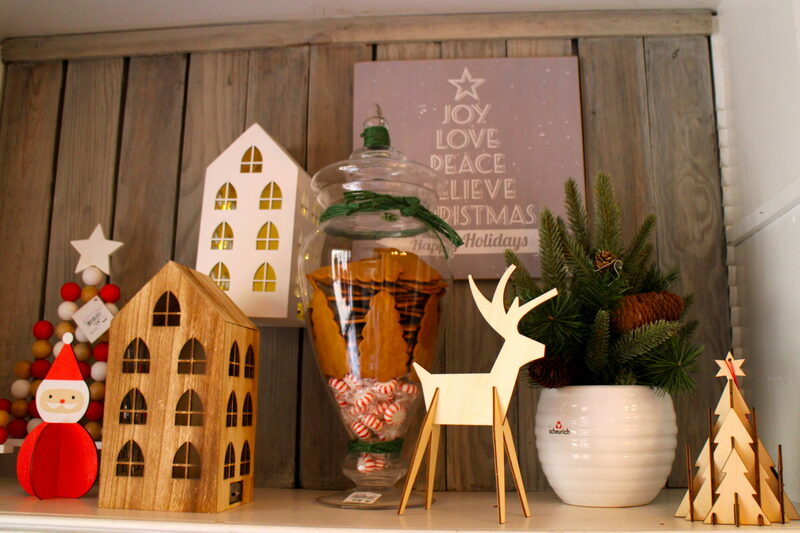 Enjoy our mini-tour of the Holiday Ideas House 2015. Chimney breast wrapped in wallpaper that looks like horizontal wood planks. Christmas tree? Candy cane? Use your imagination with these cute wooden boxes. 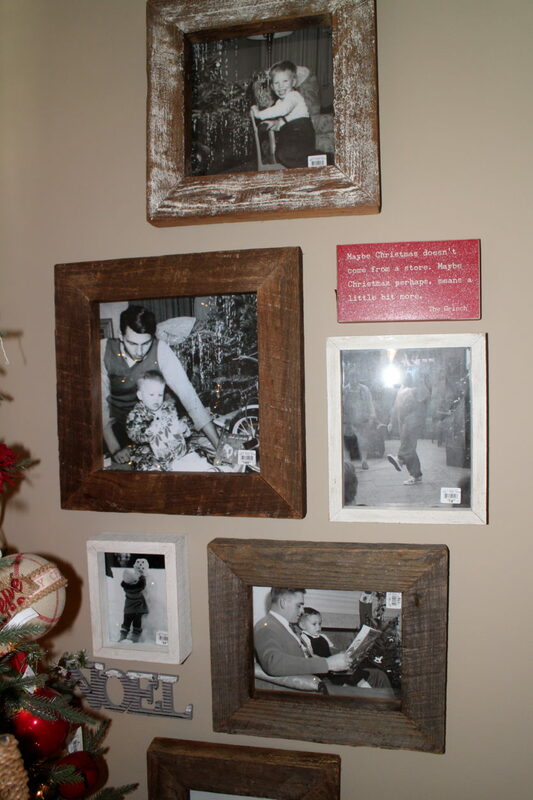 Substitute photos from Christmas past in your picture frames. 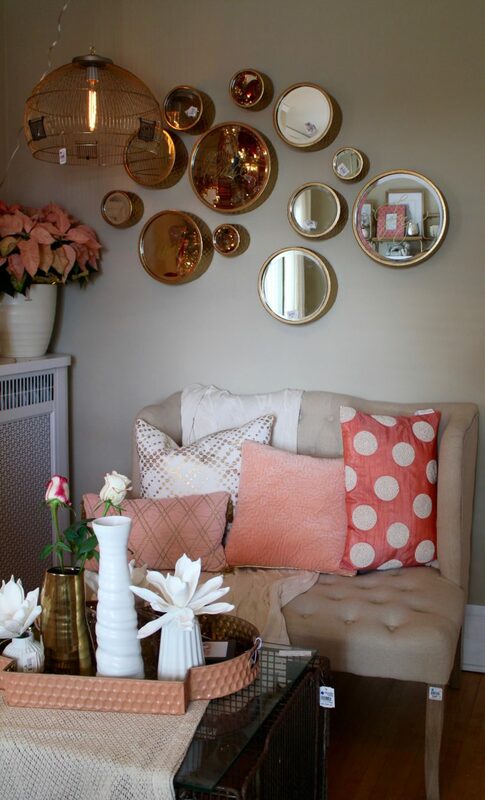 The sophisticated color combo of copper and soft pink (or is it coral) makes this room feel more like a retreat than an office. 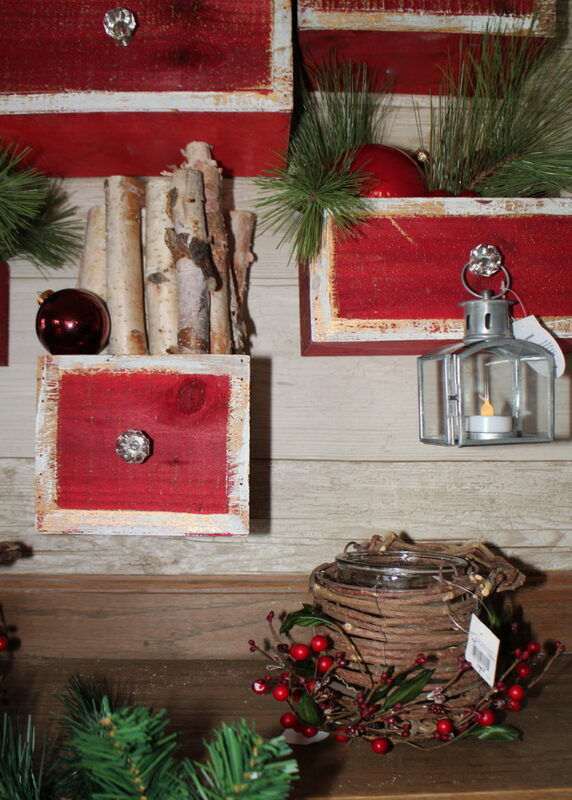 Everyone gravitated to this simple metal birchbark planter. 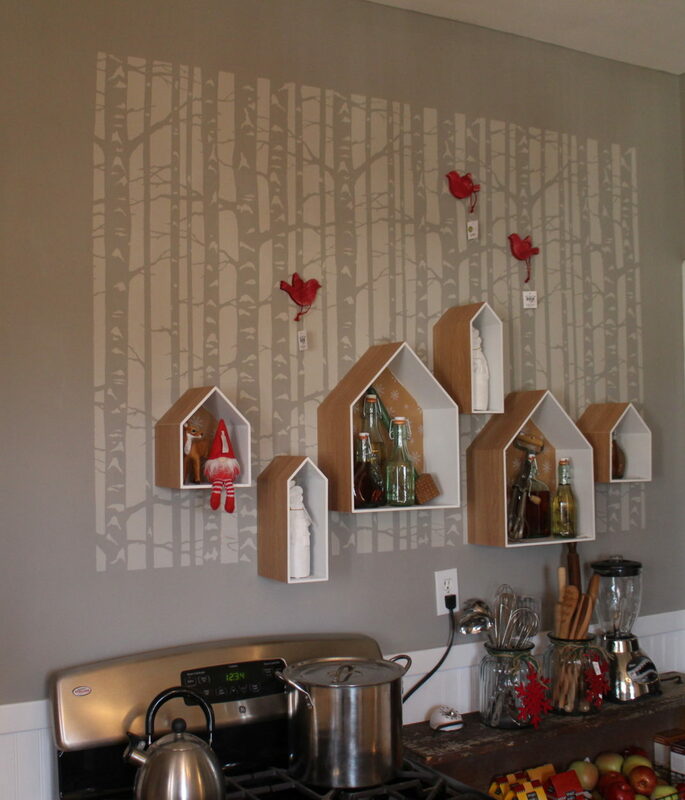 Decorative wall storage highlighted with a stenciled background. Every room in the house is filled with creative ideas and inspiration. Peace out this holiday season. 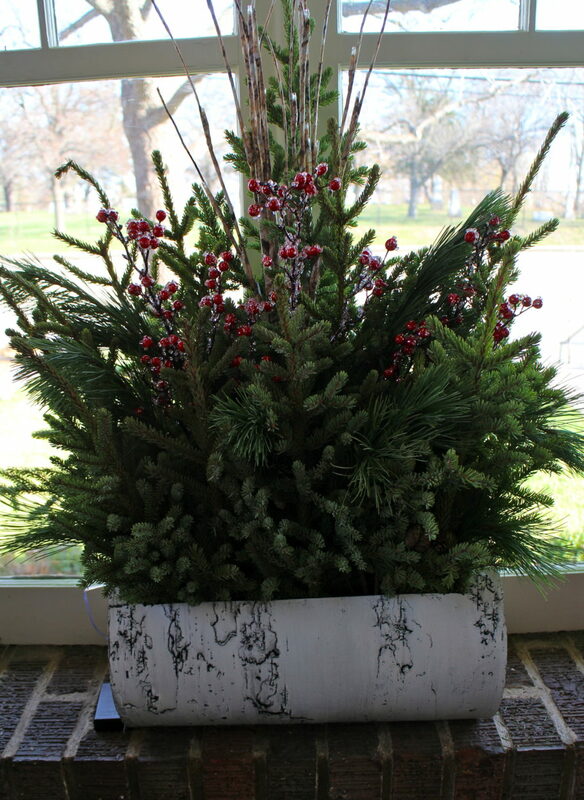 Treat yourself to some holiday cheer before “tis’ the season” gets too busy. The Ideas House is open until December 13, 2015. You must have a ticket and time reserved to tour the Ideas House. Details, details, details. Bachman’s is partnering with Washburn Center for Children with 20% of ticket sales benefiting this outstanding non-profit organization. Washburn Center for Children is the state’s leading children’s mental health center, caring for a wide variety of children’s needs such as trauma, anxiety, depression and learning difficulties. Washburn Center for Children celebrates 132 years of helping Twin Cities children and families have happier, healthier futures. Learn more at www.washburn.org.